“Responding to a recent report that one of their pastors had allegedly sexually assaulted a 17-year-old girl while serving as a youth minister at his previous church, leaders of a megachurch in Memphis, Tennessee, said they’d long known about the incident. “This information is not new to me or to our leadership,” Chris Conlee, the lead pastor of Highpoint Church, said in a statement Friday. Earlier that day, The Wartburg Watch, a Christian blog, had published the account of a woman who’d accused Andy Savage, teaching pastor at Highpoint, of sexually abusing her in the late 1990s when she was a teenager. 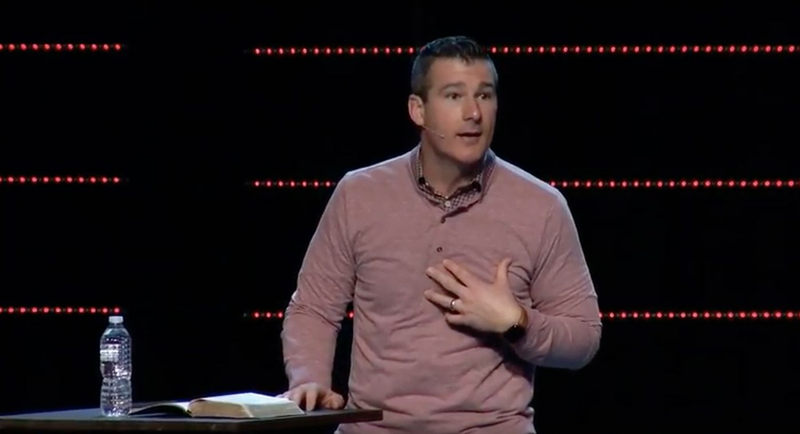 “On behalf of the elders, pastors, staff, and Trustees of Highpoint, I want to affirm that we are 100% committed to Andy [Savage] … and his continued ministry at Highpoint Church,” Conlee said, stressing his “total confidence in the redemptive process Andy went through” after the sexual encounter. Savage, an author and podcast host, acknowledged the “sexual incident” in a statement of his own. “I was and remain very remorseful for the incident and deeply regret the pain I caused her and her family, as well as the pain I caused the church and God’s Kingdom,” he said. Neither Savage nor Highpoint Church leaders immediately responded to HuffPost’s requests for comment. In the Wartburg blog post, the woman, identified as Jules Woodson, said the incident with Savage occurred in the spring of 1998 when she was a senior in high school. One night, Savage ― who was then the youth minister of her church, the Woodlands Parkway Baptist Church in Texas ― offered to drive her home after a church event, Woodson said, but took a detour without her consent or knowledge to a deserted forested area. After about five minutes, Woodson said Savage suddenly jumped out of the vehicle and ran over to her. He fell to his knees and begged her to not tell anyone about what had just happened. “‘You can’t tell anyone Jules, please. You have to take this to the grave with you,’” she quotes him as saying. In the days that followed, Woodson said she was consumed by “fear, shame, anger and hurt.” She decided to tell church leaders about the alleged assault, but they engaged “in a cover-up to protect my abuser and the image of the church,” she alleged. According to Woodson, Savage was not immediately punished for his behavior and the church’s leadership only took action after she told members of her all-women discipleship group some of what had transpired that night with the youth pastor. “Do you remember that night that you were supposed to drive me home from church and instead drove me to a deserted back road and sexually assaulted me? … Well, I REMEMBER,” she wrote in the email, which she said went unanswered. In the blog post, Woodson said she had chosen to go public with her story in the hopes of reaching other sexual assault survivors. “To anyone who has suffered from sexual abuse in the church and the subsequent cover up and pressure to remain silent, I want you to know that it is not your fault. Most importantly, I want you to know that you are not alone,” she said. Woodson told WMC News on Saturday that Savage’s apology was insufficient. “His apology isn’t enough because number one, he’s lying about how he handled it. He never came to me, the church told him he couldn’t talk to me and they told me I couldn’t talk to him,” she said. “It’s very hard to tell your story. It’s very hard to speak up,” she said.